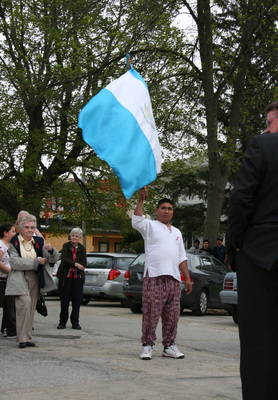 "Sister Mary McCauley, marcher with Guatemalan flag"
"Sister Mary McCauley, marcher with Guatemalan flag" (2019). Postville Project Photographs. 38.